How is our quality of life on Hood Canal? The Hood Canal Coordinating Council is a forum for local and tribal governments from across the canal to work in partnership with state, federal, and tribal agencies, community groups, and residents to protect and improve Hood Canal’s natural environment for the benefit of all. Our Integrated Watershed Plan is designed to help keep Hood Canal a unique and special place for generations to come. We’ve heard from you: Hood Canal residents and visitors prize access to local wild foods and the ability to carry out locally-based traditional natural resource practices, like fishing and hunting and harvesting timber. We’ve experienced that our economy hums when tourism thrives. Our communities are stronger when we are all enjoying Hood Canal. All of these benefits are made possible by clean water and air, healthy marine life, productive land, and safe beaches. Above: Investigating beach creatures on Hood Canal. Creative Commons image courtesy of Flickr user Graham Ballantyne. 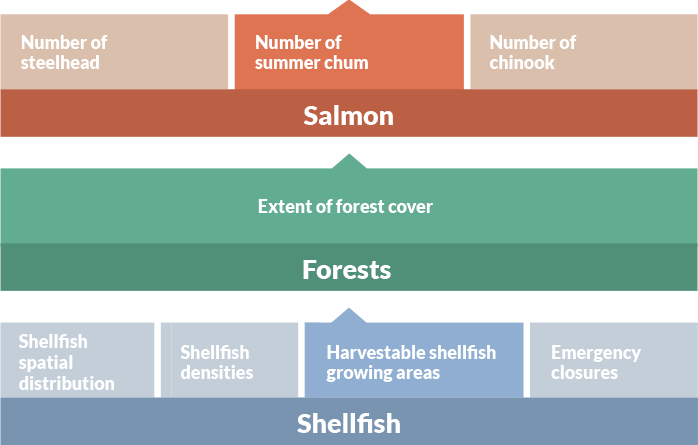 This year, our focus is on exploring three connections between Hood Canal natural resources and their contributions to our wellbeing: the rebound of Hood Canal Summer Chum; the changing face of our forests; and the abundance of healthy shellfish growing areas. All harvestable shellfish beds in Hood Canal are open and in good health.